Spartoo is a top destination in Europe for buying shoes and fashion. The Spartoo Integration for Linnworks allows you to import and mange orders, inventory, update prices and stock levels. The Spartoo Integration for Linnworks allows you to import and mange orders (Download, process, and mark as dispatched), inventory, update prices and stock levels. Spartoo is the No.1 fashion marketplace in Europe, specialising in shoes and clothing. Boasting over 14 million unique visitors per month and 2.5 million shipments annually, the marketplace is present in 30 countries including France, Spain, Italy, Germany, Finland, Denmark, Poland, and the UK. Customer service is available in 12 languages. Spartoo offers a standard marketplace drop-ship model. With Spartoo for Linnworks, sellers can manage orders, update prices and stock levels. The membership fee is around £35 per month but UK businesses can qualify for the first 3 months for free by clicking here. If the criteria above is fulfilled, Spartoo sends their merchant contract to the seller. When this is signed, they create an account on the seller’s behalf. The seller can then start sending them their feed. The photos of the products are validated manually by our team. When the products get validated, Spartoo can activate your account. Further information can be found on the Spartoo Marketplace page. To use the Spartoo Connector, you must first install it within Linnworks. 5. Locate Spartoo on the list, and click Integrate. 6. After reading the warning, click Accept to move onto the next step of the integration. You can click on the link at the bottom to review the Terms and Conditions first. 7. Enter your Spartoo account name to start the integration. 8. After reading the Disclaimer, tick I agree to the terms and conditions and click Next to continue integrating Spartoo. a) User Name: Enter the user name you were provided with by Spartoo. b) Password: Enter the password provided by Spartoo. 1. Follow this link, and enter the login credentials provided by Spartoo. 2. After logging in, locate your Seller ID. c) Select Seller ID for web services. This window will display the Seller ID. 3. Enter the Seller ID in the Linnworks.net form. d) Default Country: This is the region or country for the Spartoo channel you are integrating, eg. UK, Italy, Brazil. c) Select Flux Produit, which will display the FTP link for Product Feeds. 3. Copy this link to use as the Inventory Feed URL in the form in Linnworks.net. f) Click Next to continue. To complete the integration, click on Finish. Your Privalia integration should now show in Channel Integrations. 6)	The Test button allows you to confirm there are no errors preventing Linnworks and Spartoo communicating. Contact EBG Support if Test Reports any errors. 3)	Locate the Spartoo entry, and click Configuration. 4)	In the Inventory section, the first entry is Update Inventory. If this is disabled, then Linnworks will not tell the listings on the Spartoo marketplace when Available Stock Levels change in Linnworks. If enabled, then Linnworks will provide these updates. a. Price Change only works where a listing has been Mapped to a Linnworks Inventory item. See the end of this document for more information on Price Change and Mapping. 7)	Max Listed allows you to filter the highest quantity that Linnworks can/will send to the listings on this Spartoo channel. If Max Listed is set to 50, and your Available Stock moves from 30 to 60, Linnworks can only send 50, and this will not change until the Available Stock level drops below 50.
a. End When allows you to set a ‘false zero’ for the channel. This means it will send Out of Stock notifications when the available stock reaches the value set in this value. Linnworks periodically checks the channel for the current listings you have on the channel, their titles and SKUs, so that the Mapping Tool can be used correctly. It can be triggered manually, should you have made changes directly on the channel and outside of Linnworks. 3)	Locate the Spartoo entry, and click the Configuration button. 4)	In the Listings section, the information reflects the information Linnworks currently has about your listed items on the Spartoo marketplace. 8)	The Listing Download Estimated Completion reflects Linnworks' best estimate of when the most recent or current download should complete. The Download Listings button instructs Linnworks to retrieve the latest listing information, and ticks the Listing Download in Progress box. This can only be used once every 4 hours maximum, and will warn you if you try to use it more frequently. This section reflects activities affecting the Linnworks Order Sync on your Spartoo channel integration. Linnworks downloads orders from Spartoo with the status Shipping in Progress. 3)	Locate the Spartoo entry, and click on the Configuration button. 5)	Despatch Notes, when enabled, allows Linnworks to send information about orders that have been Processed in Linnworks. Orders that are Processed in Linnworks are updated to the status Shipped on Spartoo. 6)	The Order Sync Date reflects the date and time of the last successful order download and update for the current Spartoo channel integration. These settings are used to enable Linnworks and your Spartoo account to connect, and are covered in Step 1. 6)	The first option is the Order Download location. This is initially Default, but can be changed. Click on the drop-down list and select which inventory/fulfillment location will initially receive the orders from this Spartoo integration. 7)	Under Inventory Sync Locations, you control which Linnworks Inventory locations are used to calculate the Available Stock values for your Spartoo listings. 8)	If you have only have one location, leave Default enabled. 9)	If you have multiple Inventory Locations, you can switch off locations that you don’t want to be included in the stock numbers on the listings by sliding the switch to the left. Spartoo provides inventory information as a downloadable file, rather than in it’s API. 3. Click on the Config button for your Spartoo channel. With this Inventory Feed URL, the Spartoo Channel Integration can correctly display SKUs on its Channel Mapping Screen. Linnworks.net uses the Channel Mapping Screen to ensure that it knows which SKUs in its inventory are connected to which listings on Spartoo. You must ensure that all your listings are mapped correctly, otherwise stock levels and prices will not update correctly, and orders may not be picked accurately. 3)	Locate the Spartoo entry, and click the Mapping button. On the left is the listings Linnworks is aware of on your Spartoo Channel. If this is not correct, or a change is missing, you should see the Download Listings button in the Listings section of the Channel Configuration. 1. Selecting the item/SKU on the left, using the left mouse button. 2. Searching for the item in the Linnworks Inventory on the right-hand side, then left clicking to select it. 3. Clicking on the Link button by the entry on the left. 4. The button should then change to Unlink, and the Linnworks SKU should be shown next to the Channel SKU. 1. Click the Settings button in the top left hand corner of the window (with a cog/gear icon). 2. Click on Link all by. If a SKU has no Linnworks SKU next to it, and there isn’t an equivalent item in the Linnworks Inventory, you can create an item from the listing and link the two. The new Inventory item will gain only the Price, SKU, Title and Stock Level of the listing when created. 1. Locate the unlinked Item you wish to create an inventory item for. 2. Click on the Create button. 3)	Locate the Spartoo entry, and click Payment Method (see above). This opens the Edit Payment Methods window, the list will initially be blank. When mapped, Linnworks will ensure the orders it downloads from Spartoo reflect correctly which payment methods/providers have been used on the site. Click Save at the bottom of the channel integration window to apply any changes. 1. Select the Channel Payment Method value, and select one of the Payment Methods from Spartoo that show in the drop-down list. 2. Click on the Linnworks Payment Method drop-down menu. Select the appropriate Linnworks Payment Method that should be used in Linnworks orders when they are downloaded, including the above payment method. 4. Repeat this for all of the Spartoo payment methods you require. The next step is to map your Spartoo Shipping services to Postal Services in Linnworks, so orders don’t need to have their Postal Service set manually. Initially, all are mapped to Default. 3)	Locate the Spartoo entry, and click the Shipping Mapping button (see above). 4)	In the Edit Shipping Allocation window, you should see an empty list. 5)	To add a new entry for one of your Spartoo shipping services, click on Create New. For the Channel Site ID, select the country your orders are coming from, e.g. UK. In Channel Postal Service, click to open the drop-down list of available Spartoo Postal Services. Select one that you want to use in your listings. In the Linnworks Postal Service drop-down list, select the name of the Linnworks Postal Service that should be used for orders imported from Spartoo with the Shipping Service to dispatch them correctly. The Add button will save the mapping, and display it in the Edit Shipping Allocation screen. Repeat this for all the other Spartoo Shipping methods you are using. This ensures your Linnworks order processing will run smoothly, and with minimal distractions. Each product must have at least one image in its Linnworks Inventory entry. This can include linking to a remote image using Extended Properties (https://help.linnworks.com/support/solutions/articles/7000010167-using-extended-properties-to-work-with-images-already-hosted-online). 1. Once a Spartoo channel is integrated in Linnworks, you can open the Apps button to show the currently installed Apps list as well as the Application Store entry. You can select the Spartoo listing option to proceed. 2.1	Before starting a product listing, we need to add configurators, as you would when listing to Amazon, eBay, etc in Linnworks. To start, please click on the configurators button. 2.1.2	You’ll be shown a list of all currently available configurators, now. •	Name: This displays the name of the configurator. •	Templates: This displays the count of product listings created using this configurator. Clicking on it displays all of the products listed. •	Site: This displays selected site name for this configurator. •	Category: This displays the selected listing category for individual products listed through the configurator. From here we can also change this category. •	Specification: This button shows the number of specifics used by this configurator for listings. This is for single product listings. •	Variations: This button display the count of variation listings added to the channel using this configurator. This is used for variation product listings only. •	Show: This checkbox lets you decide of this configurator will display in the listing screen or not. If the checkbox is not ticked, the configurator will not be displayed on the product listing page. •	Name: Enter/edit the Configurator name. •	Site: This dropdown field contains the Spartoo channel account name or names (SubSource) from your Linnworks account. 2.1.4	For a single product listing, a newly created Configurator is added to the main screen, as below..
It’s not compulsory to add a specification for a single product listing, but allows you to replicate the feat for other products much more easily moving forwards. We start by adding a category to the newly created configurator. You can in fact select and add multiple categories, by clicking the gear button, shown below. •	Select site: This dropdown field contains all the integrated Spartoo accounts (Sub Sources) from your Linnworks account. You can select one of them. When you select a site, a product list is displayed with data for site selected. •	Search: Using this option, you can filter your displayed products by Category, SKU, Title and barcode. •	Before the SKU column, if you see a blank value, it means this product has no variation children. If you see a symbol, this means the product is a Variation product, with children. By clicking on the symbol you can see the children as a list. •	SKU: This field displays the product’s unique identifier. •	Title: This field displays the product’s title. •	Barcode: This field displays the product’s barcode (UPC/EAN). •	Retail Price: This field displays retail price you have set for the product. •	Level: This field displays the physical stock level for the product in Linnworks. •	In Open Orders: This field displays a count of the number of this product sold from the contents of the Linnworks Open Orders screen. Only linked/mapped products are counted. •	Available: This field displays the stock available to sell in the Linnworks inventory (Shelf stock level less the items in Open Orders and paid for). •	Create Listing: This shows if the product has already been listed. This symbol indicates that this product has not been created/listed on the Spartoo channel. You can therefore list it using the Listing Tool. If it is a single product, then you can select the Create Single Listing option only. The other option(s) will be disabled. Clicking on the Create Single Listing option displays another list, containing the available configurators. You can select one by clicking on it. You will then proceed to the single item listing page. This symbol (or similar) indicates that this product is already listed on the Spartoo channel. You can use the Edit Listing option only. You cannot list if an item has already been listed. SKU: Your Linnworks SKU will be used as the Spartoo Listing SKU. Title: Initially, the Linnworks item title will be displayed in the Title Text box. You can make changes in this title according to your needs for the listing on Spartoo. Once the listing is completed here, the same Title will be recorded to use for future changes unless you edit it again. Note: Product Names must be clear and concise, and should also be descriptive of the product being sold. This template will help consumers identifying your product. Fill the detail of description and click save button to save detail. Please Note: Tags are Non-hierarchical keywords or terms assigned to each product in your feed. 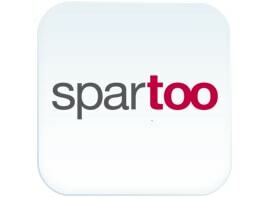 This metadata helps describe an item, and allows it to be categorised and found again by browsing or searching on Spartoo.com. A popup screen with a text box for adding tags will be opened. User can add maximum 10 tags with comma separated values. If the listing status column is Yellow, with the text “Not Listed”, then you have not listed the item. Once the title, price, description and tags have been added/updated, please click on the “Create” button. This will send the listing for creation on Spartoo. If the listing is successfully created on Spartoo, the status will be changed to “Listed”,and the colour will change to Green. The button label will also be changed to “Update” and the check box is ticked, to show that this product is enabled on the channel. Using the Configurator, the product is created on Spartoo. The Configurator screen will now look like the below image. The Template field is updated to show 1, as this configurator was used to create a listing for it. •	SKU: The SKU for the Spartoolisting created using this configurator. •	Listed On: the date the listing was created. •	Name: This dropdown contains all the options available for variation options on Spartoo. •	Extended Property: This dropdown contains the list of available Extended Properties from Linnworks. •	Default Value: You can add a value here that will be used if the parent/child being listed doesn’t have the correct Extended Property for the Variation. Using the configurator simple(0), we can now almost perform a Variation Listing. We only have to do one more thing. We have to ensure the specified Extended Property is added to all of the child products for this variation in Linnworks. eg6C5-8AF-8A7 is a parent product, and has four child products. We therefore have to add the Extended Property Colour to all four children in Linnworks with different colours. If you specify more than one Variation field, you CAN have repeats, but only if no 2 products in the variation group have the same combination of the 2 values. SKU:Your Linnworks SKU will be used as the SpartooListing SKU. Title:Initially, the Linnworks item title will be displayed in the Title Text box. You can make changes in this title according to your needs for the listing on Spartoo. Once the listing is completed here, the same Title will be recorded to use for future changes unless you edit it again. •	Price: This field displays the price of the child product. A + control displays thevalueof the parent product plus this price. This value is set in an Extended Property. If no Extended Property is specified for the Child, then just the default value is shown by the +. Once all of the details are entered, please click on the “Create” button to create the listing. As with single listings, once the listing is created the status will changed to “Listed”, and the button label will become“Update”. Thecheckbox being checked means this product is visible on the channel. Oncethe listing is created, the URL column button is enabled. Clicking it opens the Spartoo page, and displays the listing you created. If you want to update the title, price, description, category, imagesor tags on Spartoofor a listing you have already created, there is the Edit Listing option in the main inventory screen. Regardless of whether it is a single or variation listing, you’ll be directed to the correct options. You can then apply the new details to that product by clicking on the Update button. You can also enable or disable the product listing on Spartoo by deselecting the checkbox to the far right. Before integration of this channel in Linnworks, seller should have an account with Elala.in ? Yes, a seller account is required in order to integrate this channel into Linnworks. Which type of orders are downloaded into Linnworks? Only orders with the status of "Order verified" are downloaded from channel to linnworks. Which Payment methods are downloaded to Linnworks for orders from the channel? Only Paid status are provided. No specific methods. After processing an order in Linnworks, what is the order status changed to on the channel? The order status is set to Shipped. Do I have to assign the tracking number to the order before processing it , if I want to upload the tracking number to the channel? Yes. Shipping service name & Vendor name needs to be define . Do I need to define the shipping service for the orders in Linnworks before processing it? Yes. As orders in Linnworks cannot be updated after they are processed, you must define the Shipping Service before marking the order as processed. Are refunds supported by this Linnworks channel integration? Refunds are not supported. Any refunds must be executed in Linnworks, and then separately on the Channel. Are order cancellations supported in this Linnworks channel integration? Order cancellation are not supported. Any orders must be cancelled in Linnworks, and then separately on the Channel. Which types of fulfillments/shipments are supported in this channel integration? Only standard order shipments are supported to customers by this integration. How often does an integrated channel import orders into Linnworks? Synchronisation occurs once per hour. How often does an integrated channel send Shipping/Status updates to Elala.in? Synchronisation occurs once per hour. How often does an integrated channel send price updates to the channel? Synchronisation occurs once every hour. If we want to change the price in Linnworks, and have the update synchronizedby the channel integration, where should we make the update? In Linnworks.net, select the Inventory tab, and the My Inventory option. Using the tools, search for the item to update. Select the Listing Descriptions tab. If the Source and SubSource is already present under Product Pricing by Channel, then click on thePrice to edit it. If the Source and SubSource are missing, click on Add New, next to the Product Pricing by Channel section. Do we need to adjust any settings in the Channel Configurationto use Price Update? Yes. Click on the Edit Channel Details button. Check the Price Update option. If a price is changed on the channel, do we have a track record in Linnworks? Yes, this will show up in the Audit Trail. If there is a problem with a price update on the channel integration, can Errors be checked inLinnworks? Yes. In Linnworks.net, select Settings, and then Automation Log. Does this channel integration support stocklevel updates to linked listings on the channel from Linnworks? Yes, it can automatically update the Available Stock Level on listings via the Channel Integration. How often does the integrated channel update stock levels from Linnworks to the channel? Synchronisation occurs once per hour. Is there a limitation on which Linnworks stock locations are available for this channel integration?? Stock can be synchronized to the channel form any location or combination of locations in the Linnworks inventory. Are there any settings we need to change in the channel configuration in Linnworks for Stock Updates to be enabled and active? Under Settings, Channel Integrations, you should ensure Inventory Sync is enabled. You can select which Linnworks locations will be used to calculate Available Stock. This can be found under edit channel location mapping. Enable the locations holding stock that’s available for that channel. Can we define a Minimum stock level in the selected Channel from the channel integration in Linnworks? Yes, you can define a Min level that will signal sending 0 to a listing early. After stock levels are changed on the channel listing, do we have any record in Linnworks ? Yes, this is recorded in Linnworks. If there is a problem with astock update from this channel integration, can we check For errorsLinnworks? Yes, the Automation Logscan be found under Settings in Linnworks.